HAGERSTOWN, MD - With recent media attention to Flint, Michigan and Crystal City, Texas, local residents may be wondering if their own drinking water is safe. The Safe Water Drinking Act requires public utilities to distribute on a yearly basis a Consumer Confidence Report (CCR) listing the results for EPA regulated and unregulated contaminants. Currently, the City of Hagerstown is operating under a consent agreement with the State of Maryland while it undergoes significant upgrades to the R.C. Willson Water Treatment Plant. Some people who drink water containing haloacetic acids or trihalomethanes in excess of the MCL over many years may experience problems with their liver, kidneys, or central nervous system, and may have an increased risk of getting cancer. The City of Hagerstown provides water to Williamsport, Smithsburg, and Funkstown. The 2015 CCR report was not available at the time of writing this article, nor was any data on how long the consent agreement has been in place. However, documents reaching as far back as 1980 show Hagerstown with a traditionally high concentration of trihalomethanes (THMs). The Herald-Mail wrote an article about the City's water in 2001, in which it was recommended that pregnant women only drink bottled water. Additionally, test data between 2004 and 2007 shows repeated high levels of THMs. According to the World Health Organization, THMs are formed in drinking-water primarily as a result of chlorination of organic matter present naturally in raw water supplies. THMs include Chloroform, Bromoform, Dibromochloromethane, and Bromodichloromethane. Chloroform is a known carcinogen, while Bromodichloromethane is known to cause reproductive effects, including stillbirth. Interestingly enough, the City of Hagerstown has posted a notice on its website that in August 2015, water treatment processes were to switch from chlorine to chloramines "in order to comply with new federal regulatory standards." 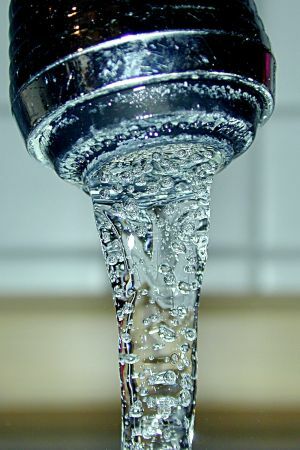 The notice states that Kidney Dialysis Patients, Businesses using water for food or beverage manufacturing, commercial laundering operations, laboratory procedures, seafood handling or any other processes, or Fish, Pond, and Amphibian Owners, should take special precautions and steps for dealing with the chloramines in the water supply. Residents interested in learning more should contact the Hagerstown Utilities Department. 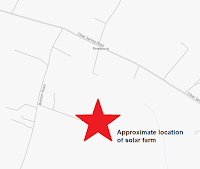 Williamsport, MD - On February 17 a public hearing will be held to discuss the proposed solar generation facility near Williamsport off Bottom Road. Pinesburg Solar, LLC, wishes to construct a 7 MW solar facility in two agricultural fields. 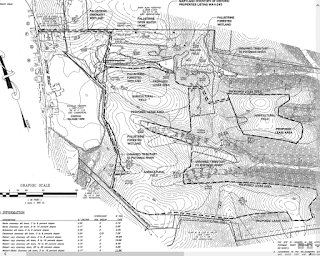 All documents related to the proposed facility, including a detailed proposed site map, can be found at the Maryland Public Service Commission case number 9395. 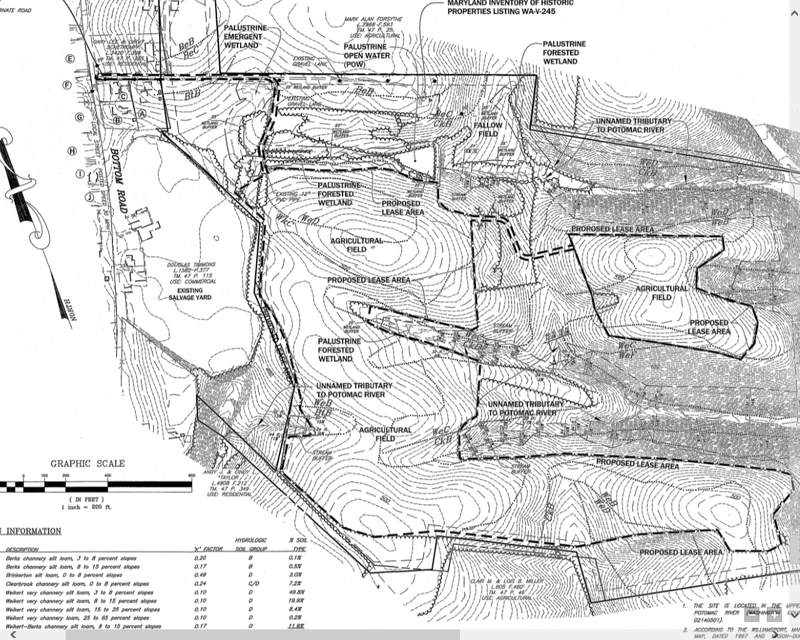 An overview of the proposed lease area for the facility is included below. Please be sure to include the related case number with all comments. In addition to the mailed comments, the public is encouraged to use the Commission’s e-file system at www.psc.state.md.us/efile/ to provide an electronic copy of their comments. Ken Buckler is the editor of the WashCo Chronicle. Press release provided by Washington County Government. The following is a guest post/interview conducted by David Malekar, who regularly contributes content to the WashCo Chronicle. The interviewee, Jamie Sherman, the creator of Voluntaryist. 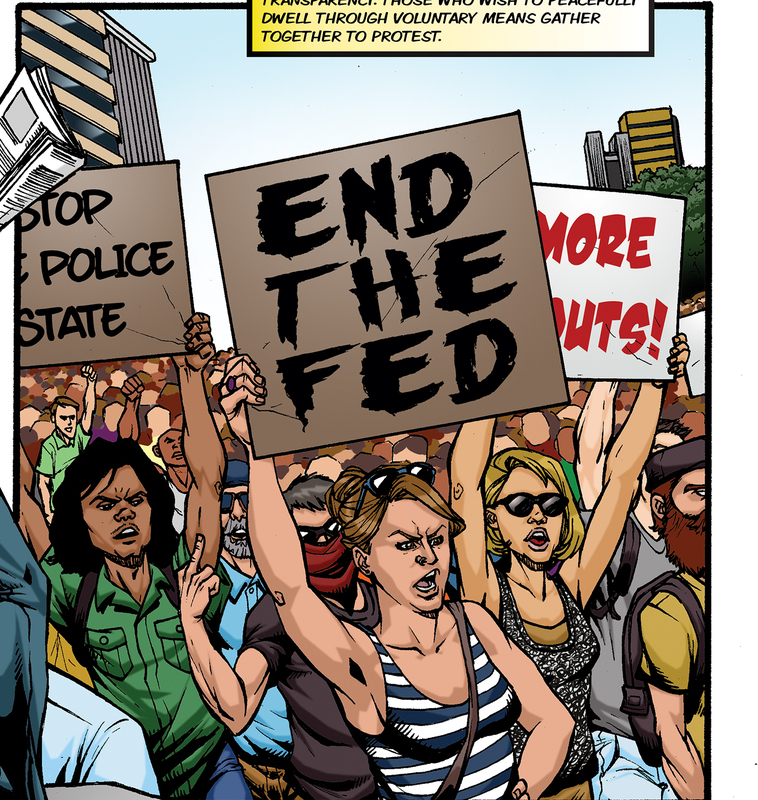 This comic series focuses on the battle for liberty and self governance/independence. You can contact the self proclaimed "Number 1 Libertarian comic universe in print" at his webpage. DM: Let's pull no punches; what originally sparked the idea to create this comic? JS: I have always been a fan of comics and general geekdom. I have collected Godzilla figures and movies since I was 5, dressed up in superhero outfits for comic book movie premiers, and have always watched the latest animated cartoons. During the Ron Paul campaign of 2012, I was excited to promote liberty and wanted to see how I could combine my interests in fantasy with my love for liberty. I began writing a movie script, but found it would be too expensive to make a decent production. I decided that I could reasonably make a comic book come to life with the advent of crowd-source fundraising, so I turned my movie thoughts into comic form and ran with an online campaign. DM: Pulling off such a project requires serious dedication. Is this a project you work on during your free time, or full time? 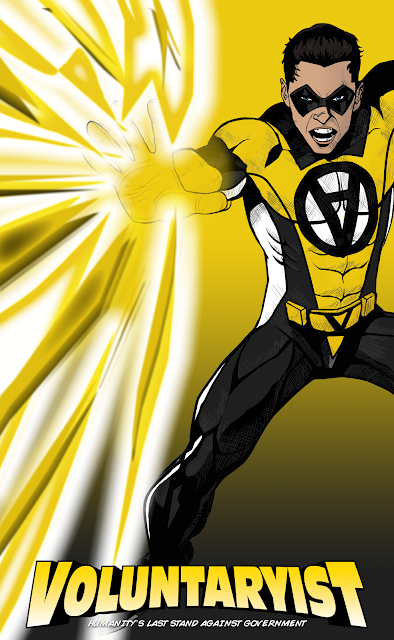 JS: I work on the Voluntaryist comic during my free time. It’s been a long journey that has taken countless hours. I don’t think I could have been successful if I didn’t spend entire weekends at a time reaching out to people to garner support. DM: What has been your biggest challenge thus far with the project? JS: The hardest part was finding the initial fan base. The Voluntaryist Comic is premised on a philosophy that only a small fraction of the world is privy to. On top of that, those who would be initially interested would also have to enjoy comics as a medium. It took a while to build interest and support but, at this stage, the ideas of liberty have spread so far and wide that it has become easier to break into the mainstream. The acceptance of libertarian Voluntaryism as an ethical philosophy has probably grown 10-fold since I’ve started the comic, which is incredible on its own. DM: You've covered a lot of controversial subjects thus far (such as the NSA surveillance), what are other subjects we can expect from the series? JS: Readers should expect a no-holds-barred approach to all of the hottest issues with government threats: spying, police brutality, martial law, war, taxation, eminent domain, prohibition, regulation, and so on. The next issue will continue with the NSA topic and introduce Julian Assange with Wikileaks. DM: You plan on covering a vast amount of subjects. Which one stands out to you the most and why? JS: The one that stands out the most to me is the one that no one else will cover: the nature of government. I think a graphic depiction on how government function is carried out in real-world practice is needed. Too many just accept the process of how government is run through generalized mantras like “social contract,” “uniform justice,” and “public good.” I plan to give readers the exact nature of what the state is: poor service provided at the barrel of a gun. DM: Can we expect a possible short animated film in the future? JS: That is my dream goal. I want to first get the origins story into a graphic novel format so it can also be used as storyboarding. If I could get the right kind of sponsorship or advertising deal though, I would be happy to make the first ever Voluntaryist 2D animated feature as soon as I possibly can. DM: Where can interested readers go to purchase digital and paper print copies? JS: We sell the comics through Indyplanet. I recommend using the sidebar at our Website, www.volcomic.com to go to the direct purchase links. DM: For fans who wish to provide additional support beyond just purchasing copies of Voluntaryist; do you have any other links you would like to provide; Donations or otherwise? DM: Overall, what do you hope that readers will take away from your series? JS: I want Voluntaryist to reach out to a diverse audience on multiple levels. For those who never heard of the philosophy, I want this to be an opportunity to engage the ideas in an entertaining way. For those refining their beliefs, I want the comic to be an avenue for critical thought and discourse as a means to synthesize common critiques and misconceptions. For those who already buy into the philosophy, I want the comic to be a fun relief from reality that can be used to share Voluntarism with others who may otherwise be turned off to academic arguments and dry white papers. DM: People such as Ron Paul, have been a major influence to the younger generation regarding the subjects of liberty and government, in the recent years. 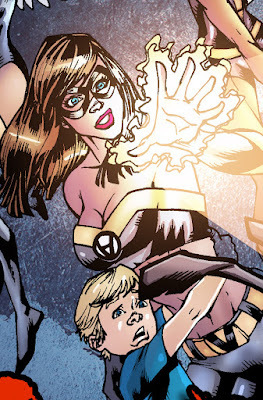 The appeal of your comic follows the ideas of the moment, as you previously stated. In closing, what final thoughts would you like to leave with readers? JS: My call to action for everyone is to start sharing the virtues of liberty with the world by first providing value to others. Help others solve problems by providing how-tos, reviews, and instructionals, and then seed the message of liberty in. We will grow true peace and prosperity when philosophy and culture combine.